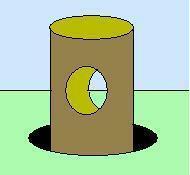 Is there a hole in The Post Hole’s poll? 1. Better education about detecting for those who want to get involved? Well! We’ve been paying PAS millions to do that for 16years! Should we ask for our money back?! Maybe, as most detectorists still don’t report all finds. Interesting that 23% of respondents answered YES to that option. 2. Make it easier for the public to report finds? Eh?! How could it possibly be easier? PAS has a national team you can take finds to. They’ll even come to you or your detecting club or rally and give you a free ID to boot. What other hobby is so mollycoddled by the state? 3. Acknowledgement of the good that can come from metal detecting? 4. Find common ground, i.e. projects that all parties can work together on? To clarify: random, selective, unstructured searching for personal benefit is antipathetic to archaeological ethics so the ONLY “common ground” possible is in projects under strict archaeological control as defined by EH in Our Portable Past. That may shock endless bangers-on about common ground (detectorists and PAS) but it’s true! If the York Uni students don’t know how archaeologist-detectorist relations can be improved (which I doubt) they could pop over to CBA HQ where they’ll be told this (in no uncertain terms). It adds up to: “Metal detecting is fine providing it’s conducted in the public interest”. To which I’d add: “since after 16 years of persuasion it mostly isn’t, it’s high time regulation was used to ensure it is!” The effect on relations will be that every archaeologist will then adore every metal detectorist (as will I) and it don’t need no poll to see that’s true! The claim that we (and Paul Barford) are the cause of detectorist misbehaviour is more than a decade old and turns out to be decidedly irrational when examined – so doesn’t need discussing. As for forcing my own opinions, the above-quoted summary of the CBA’s opinion – “Metal detecting is fine providing it’s conducted in the public interest” is one that is shared by just about every archaeologist on the planet so he’d better take it up with them. « #Stonehenge – 5 musical tributes.